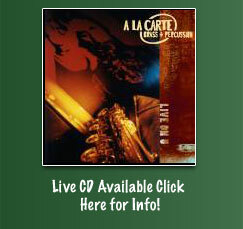 Since its formation in 1990, the A La Carte Brass and Percussion Band has earned quite a reputation. By combining the sound of a traditional New Orleans brass band with the percussion section of a Latin salsa band, the group harmonizes a variety of indigenous American music styles. 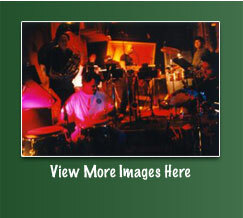 New Orleans Creole music, hip hop, junkyard go-go, traditional American jazz and rock are fused in original compositions and arrangements of popular tunes. Read Full Bio. "Take one big brass band, a full-blown Afro-Cuban percussion section, wailing vocalists like D.C. go-go king Chuck Brown and Shaun Murphy of Little Feat, mambo, rumba. second-line, P-Funk, kickin' blues, bebop and a didgeridoo - put 'em together and you've got an incredibly hot, soulful amalgam of music. There simply aren't enough superlatives in Roget's to describe adequately what this group does..."